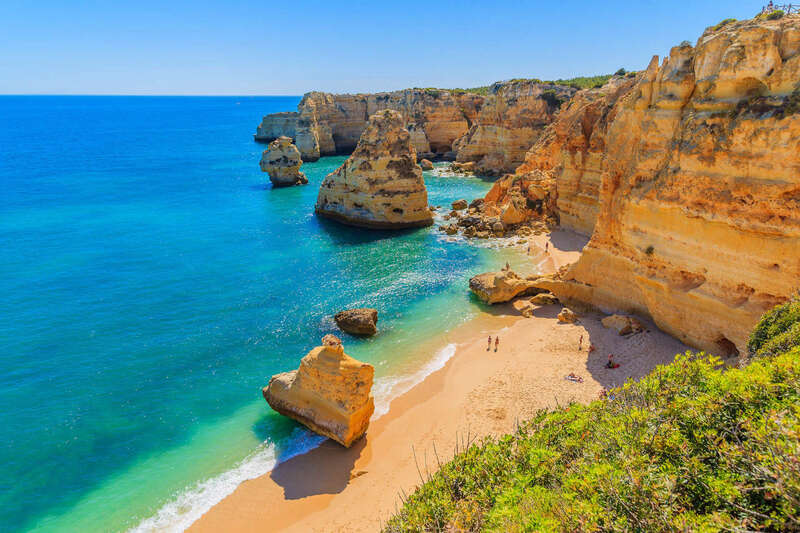 The spectacular Atlantic coast of The Algarve is blessed by dramatic rocky outcrops, long sandy beaches and one of the longest sunshine records in Europe. 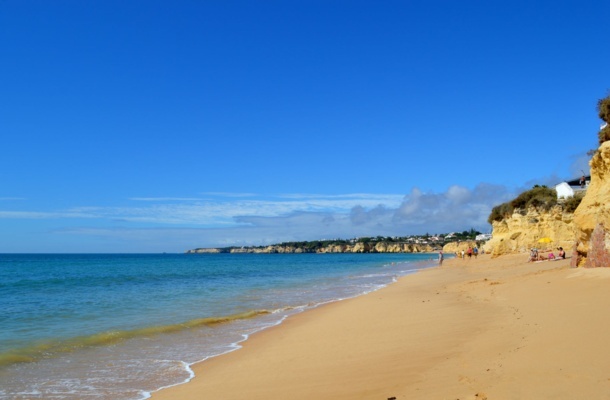 Home to wonderful golden sand beaches warmed by over 3,000 hours of sunshine a year, the Algarve coastline of southern Portugal stretches from the Spanish border at Vila Real across to Cabo de São Vicente, the most westerly point of continental Europe. 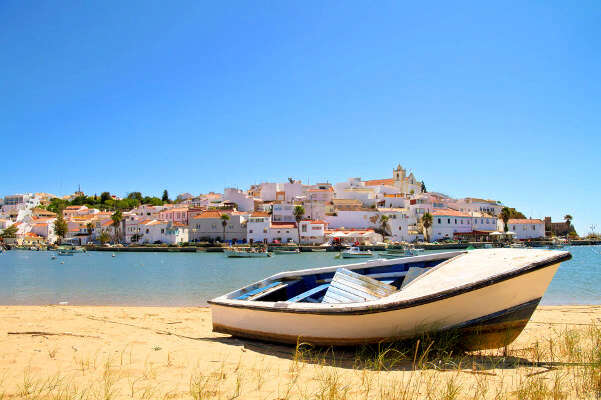 The western Algarve is renowned for its sandy cove beaches and many traditional fishing villages while the east, with the region's capital at Faro, has flatter sandy stretches of beach and many pretty islands, accessed by boat, lying just offshore. Enjoying an ideal climate of mild winters followed by hot and sunny summers, cooled by pleasant sea breezes, the Algarve lends itself perfectly to outdoor living. However, this lovely region has so much more to offer than just wonderful beaches! Probably the most famous of the wide variety of sporting facilities available is golf. World class facilities include the famous Royal Course at Vale do Lobo and four other celebrated courses at Vilamoura. Tennis, horse riding, scuba diving, surfing, water skiing, sailing and fishing are but a few of the other activities on offer. There is also a variety of walking trails through woodland in the Serra de Monchique, along rugged cliff tops, or amongst the flora and wild grasses of the coastal sand dunes. Cuisine here varies from the simple and unpretentious in the form of freshly caught sardines at a quayside bar to sophisticated Michelin starred restaurants. There is a huge variety of fresh fish, meat and vegetables to be sampled with sweet dishes using eggs, almonds, sugar and butter appearing on most menus. Likewise, the high standards of the wines are gaining a well deserved reputation with 'vinho verde' perhaps the best known. 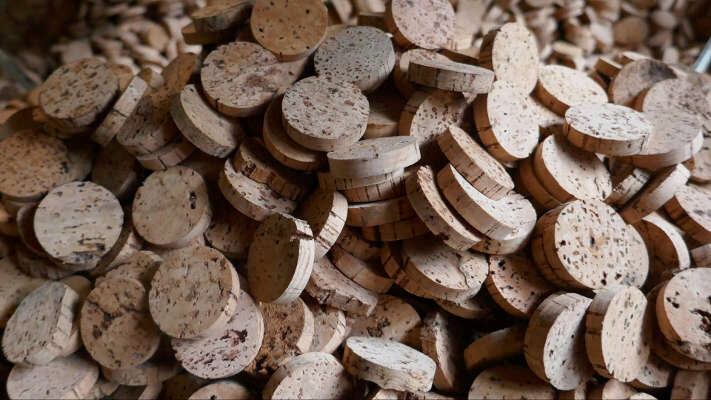 There are some fine reds, whites and rosés to be sampled and all at very reasonable prices. Hardly a week goes by without some kind of 'festa' taking place in towns and villages along the Algarve. These vary from highly organised displays of folk dancing and traditional music followed in the evenings by dazzling firework extravaganzas, to more simple traditional gatherings in small communities, all accompanied by sumptuous feasts of food and wine. The Algarve is well served by a wide range of 'no frills', charter and scheduled airlines flying into Faro airport. From here all our properties can be reached within an hour's drive. 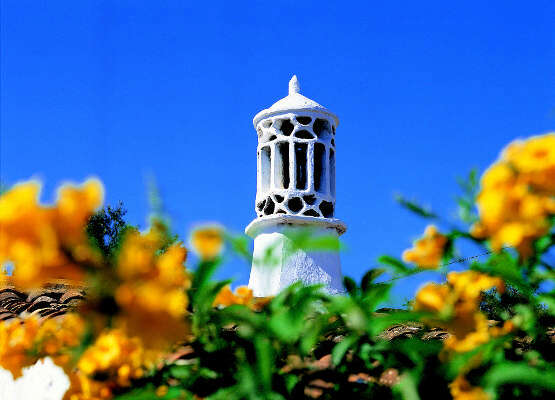 The Algarve is also accessible from Lisbon within 2.5 hours and Seville within 2 hours. The variety and choice of flights from UK airports to European destinations is considerable. We do not tie you in to a package holiday with prearranged travel; you are free to choose flights from your closest airport using any charter, scheduled or low cost airline. We always recommend booking your flights and hire car as soon as you have decided on your holiday accommodation. This will ensure that you will find the lowest fares and the widest choice of flight times. With fabulous Blue Flag beaches and excellent seafood restaurants, it is easy to see why Armação de Pêra has become a top tourist destination for the Portuguese. Near the remains of the 17th century fort, local fishermen still beach their boats on the shoreline bringing with them their daily catch, while in the old town narrow cobbled streets retain their old charm with an abundance of restaurants offering visitors a chance to indulge in delicious local dishes. Nearby, Lagoa dos Salgados offers excellent bird watching against a backdrop of sandy dunes along the impressive Praia Grande. Located only a few kilometres from the busier Albufeira, Olhos d’Agua is a smaller, quieter town that assumes a more relaxed ambiance and is home to an increasing number of restaurants serving both traditional and international dishes on the way up to the square. 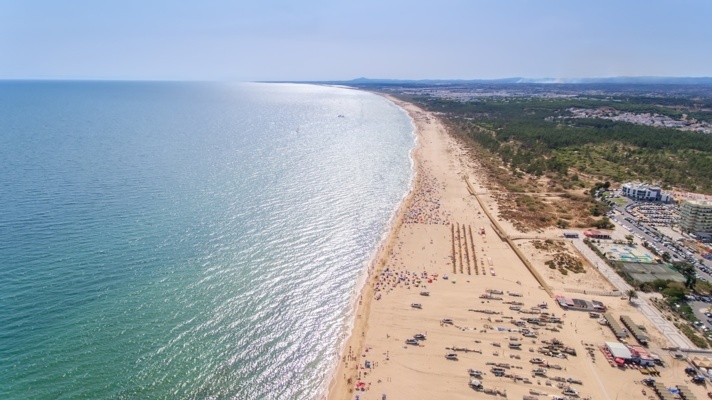 Nearby Falesia beach stretches seamlessly along the coast towards fashionable Vilamoura, home to one of the region’s largest marinas and several of Europe’s more famous golf courses. Sitting on the banks of the Rio Arade, the pretty fishing village of Ferragudo exudes charm at every turn. Along narrow cobbled streets local fishermen tend to their nets, while others crowd corner cafés to discuss their daily catch. Bohemian artisan shops, and art galleries mix effortlessly with cafés, bars and several renowned seafood restaurants to make for a delightful atmosphere. The popular and picturesque Portuguese resort town of Carvoeiro, nestled into sea cliffs around a sheltered bay, is an ideal spot to explore this stretch of rugged coastline, home to several of the Algarve’s most iconic beaches best viewed by boat trip or cliff top trail. The town itself is busy in peak season but more authentic and family orientated than Albufeira. Kids will love Zoomarine close by, a popular water theme park with aquarium and dolphin shows as well as 'Slide and Splash' water park. Watersports are available from the town beach: jetskis, pedaloes paddle boards etc and for keen divers, there are dive schools based in the town. The local fishing boats offer excursions during the day to see the coastline and local caves. 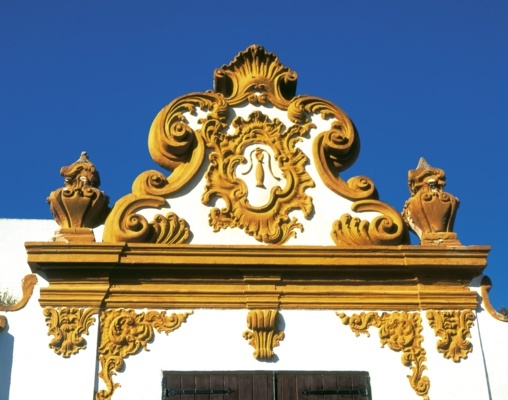 A short distance inland, visit the old Moorish capital of Silves, sitting proudly within its red sandstone castle and home to a fascinating archaeological museum. Further still, the high hills of Monchique offer a cooling respite from the Summer heat amongst forest of pine and eucalyptus while providing outstanding views across rolling hills down to the blue waters of the Atlantic Ocean. Overlooked by the remains of a 10th century Moorish castle, Aljezur sits within a fertile valley famed for its sweet potatoes, celebrated in style during the annual sweet potato festival. Within the stunning Southwest Alentejo & Costa Vicentina Natural Park, this unassuming little town has become a mecca for surfers and water sports enthusiasts worldwide, attracted by the excellent conditions along this unspoilt and breath-taking coastal stretch while also offering excellent opportunities for hiking and walking along the extensive costal footpath trail. 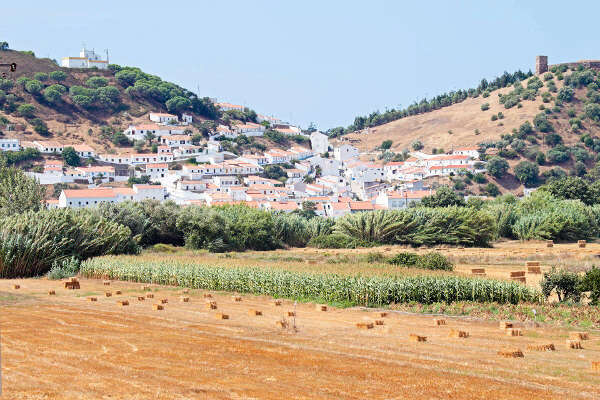 To the south sits Lagos, rich in maritime history and home to some of the Algarve’s most beautiful beaches while to the east, head to the hills to reach the peak at Monchique, a mountain town famed for its Medronho liquor. This charming village, sitting only 5 kilometres from the stunning sandy beaches at Galé and Salgados is most famed for being the home to ‘piri piri’, with countless local eateries serving delicious spicy chicken. Close by, Adega do Cantor, offers guided vineyard tours while excellent shopping is assured at Algarve Shopping. For family fun, head a short distance to Zoo Marine, while at nearby Pêra, the fascinating sand sculpture exposition, with annual themes, is well worth a visit. 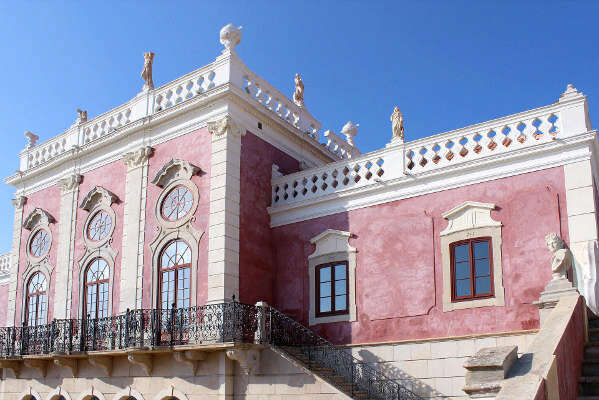 Located just north of the regional capital Faro, the pretty village of Estoi boasts many attractions, most notably a stunning 19th Century pink Rococo palace and the Roman ruins of Milreu. The village is a mix of cobbled streets, whitewashed houses and terracotta roofs and has not been touched too much yet by mass tourism. You will still find locals sitting in cafes all day long, gossiping and nothing much happening during the heat of the day. Famed also for its large monthly market and annual equestrian events, Estoi has much on offer and as is commonplace there are several good local restaurants to sample. With its pretty picture-postcard church square, the well-preserved village of Boliqueime offers visitors a chance to experience a flavour of the real Algarve. Meander narrow streets lined with traditional tiled houses, indulge at one of the excellent local restaurants or simply enjoy the colourful monthly market. Nearby, the fashionable beach resorts of Vilamoura and Albufeira offer fabulous golden beaches and top rate sporting pursuits, while heading north discover a landscape of rolling hills dotted with ancient olive, pine and cork, white washed hamlets and hidden eateries serving flavoursome dishes. In the heart of the ‘golden triangle’ the small town of Almancil belies its size with a wealth of excellent eateries ranging from traditional side street to Michelin Star serving haute cuisine. Nearby cosmopolitan Quinta do Lago and Vale de Lobo provide a certain ‘wow’ factor, awash with world renowned golf courses, stunning villas, many with avant-guard design and high-end shopping to satisfy even the most demanding of clients. 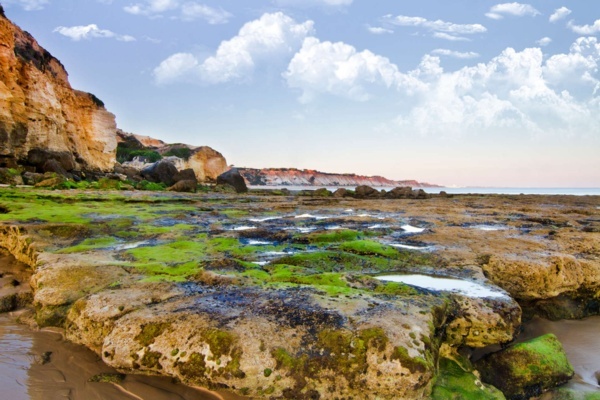 Combined with beautiful golden beaches, easy access to Faro and a short distance to the attractive hilltop town of Loulé, it is easy to see why this is a ‘must be’ location on the Algarve! This small seaside town, popular with the Portuguese, offers excellent long sandy beaches and an array of tempting seafood eateries, serving freshly caught fish and seafood. Low key and conveniently located between charming Tavira and the frontier town of Vila Real do Santo António, Altura is ideally positioned to enjoy the many attractions of this lesser known part of the Algarve. 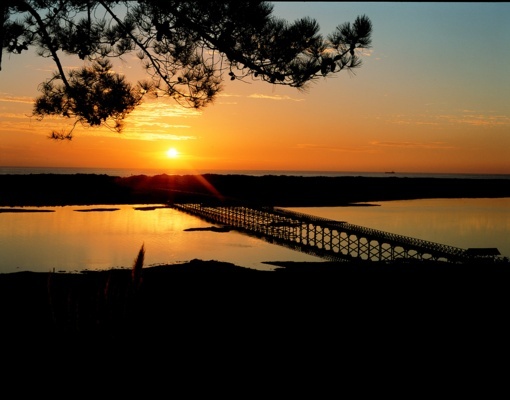 Nearby, visit the Reserva Natural do Sapal de Castro Marim, on the banks of the softly flowing Guadiana and home to countless birdlife, or take a drive across the border to sample some Spanish tapas then return to Altura to enjoy those fabulous beaches. Authentic and unassuming, this small fishing village sits on the banks for the Ria Formosa Natural Park. From the quayside, a small ferry takes beach goers to the island, considered by many to be one of best beaches in the region while after a hard day’s work, local fishermen moor their craft then head to the open restaurants dotted along the water front for traditional fish and seafood simply served with flavoursome salads and vegetables. 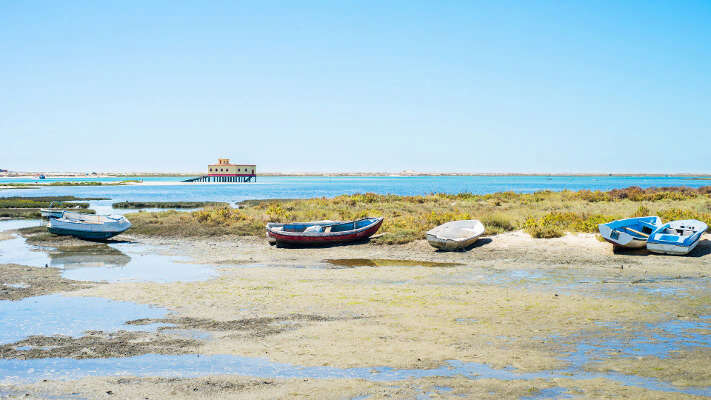 Ideally located between Tavira and the port town of Olhão, Fuzeta benefits from easy access to several other interesting towns and sights along this stretch of the coast. 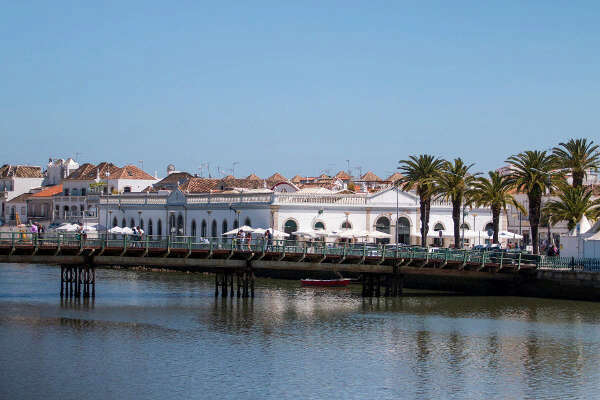 Sitting on the banks of the meandering Rio Gilão and looking out across the expansive salt flats of the Ria Formosa Natural Park, the charming town of Tavira oozes old world charm. With a long history dating back to Roman times, there are many a fine mansion and graceful townhouse on display. Cobbled streets, castle ramparts, beautiful gardens and an abundant and growing list of excellent eateries are but a few of the many attractions on offer. The morning market is a must for foodies while a fun ferry trip takes visitors to the impressive ten-kilometre-long island beach, where the clean waters of the Atlantic Ocean lap against dune backed sands. With all this on offer, then it is easy to see why some say that Tavira is the loveliest town on the Algarve. Gateway to the wilderness of the Serra do Caldeirão and home to a thriving cork industry, the small sleepy market town of São Brás de Alportel epitomises the relaxed Mediterranean way of life. Here, a slower pace of life, in keeping with its rich rural surroundings, is very much in evidence and showcased sensitively at the local museum of traditional costumes and rural life. A well-preserved historic centre provides an ideal backdrop to while away the hours wandering through narrow streets, perhaps stopping at a local patisserie to sample one of the locally baked cakes and sweets. For beach lovers, the less popular resorts along the Eastern Algarve are but a short drive away.